Charlie Bone pwns Harry Potter. Charlie bone pwning Harry Potter. HD Wallpaper and background images in the Harry Potter Vs. 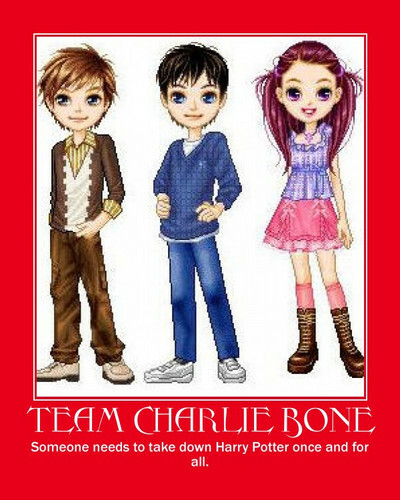 Twilight club tagged: harry potter pwn charlie bone motivational poster demotivational poster. This Harry Potter Vs. Twilight fan art contains portrait, headshot, and closeup. There might also be well dressed person, suit, pants suit, pantsuit, hip boot, and thigh boot.